We are dedicated website designers and developers who truly understand the important work of nonprofit organizations. Website design and development for nonprofits is our absolute passion — the nonprofit sector is our community. Richard Hamel, the person behind Dot Org Web Works, has been working within the nonprofit sector since 1983. His profession has taken him from individual-donor fundraising, project and special-event development, to communications and social marketing (both print and web). 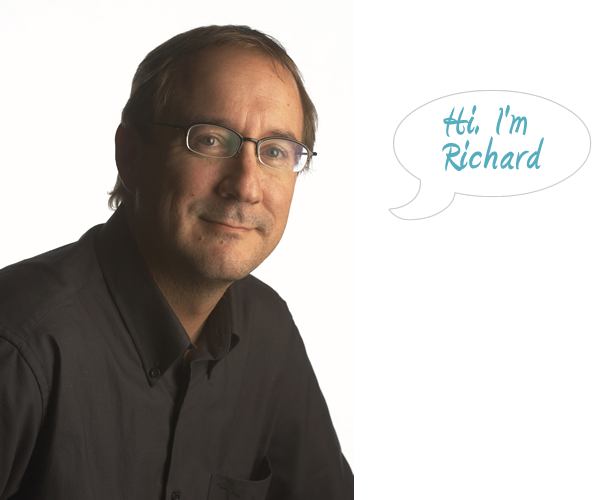 Richard has consulted with or provided services to more than 100 nonprofit organizations. In 1988 he founded PAX Publishing, a not-for profit print-communications agency in Southern California for the nonprofit sector. Then, in 2000, he created Dot Org Web Works — which continues to be his favorite sand box. Branding and Logo. Ján has more than 15 years experience in branding and identity design. As a designer and art director, he has created highly effective brand strategies for more than 500 companies. Special Consultant and Blog Contributor. Gary is the owner of Gary Bess Associates (GBA), which provides grant writing, program evaluation and consultation to nonprofit and government agencies (www.garybess.com). Marketing Communications and PR Consultant, and Content Writer. Laura established Chaffington Marketing Communications (chaffington.co.uk) and specialises in getting engaging messages across with clarity and impact, both in the non-profit and commercial sectors, for clients in the UK and further afield.